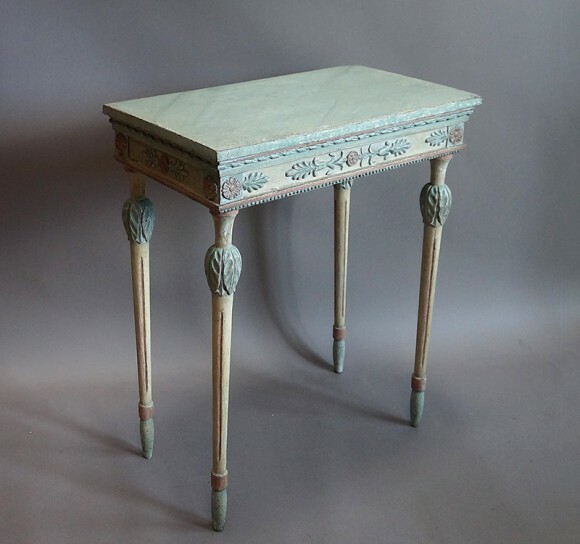 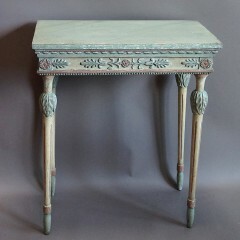 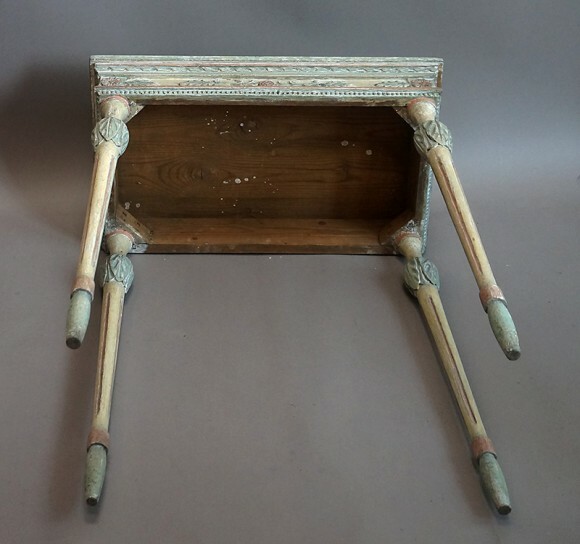 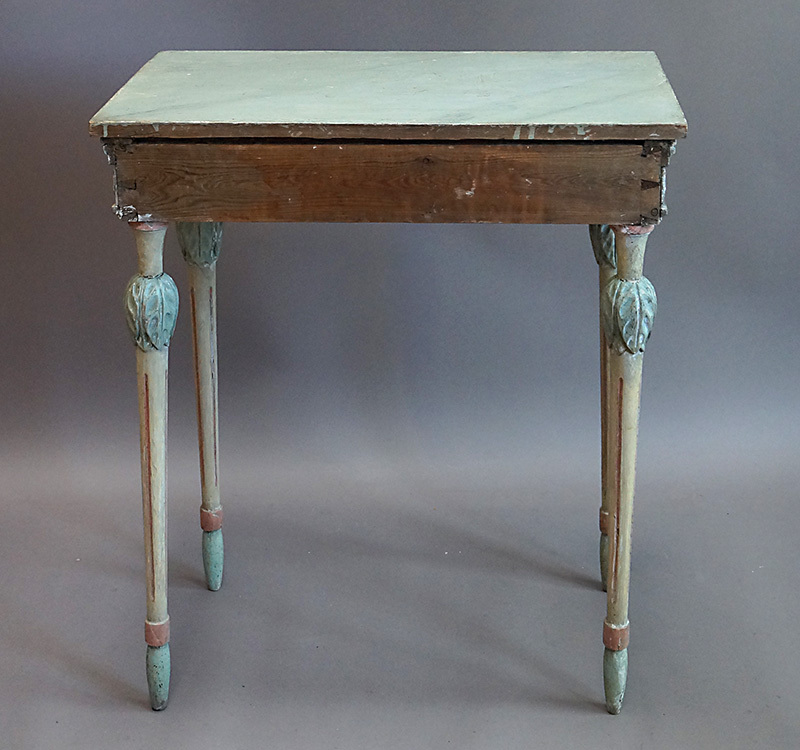 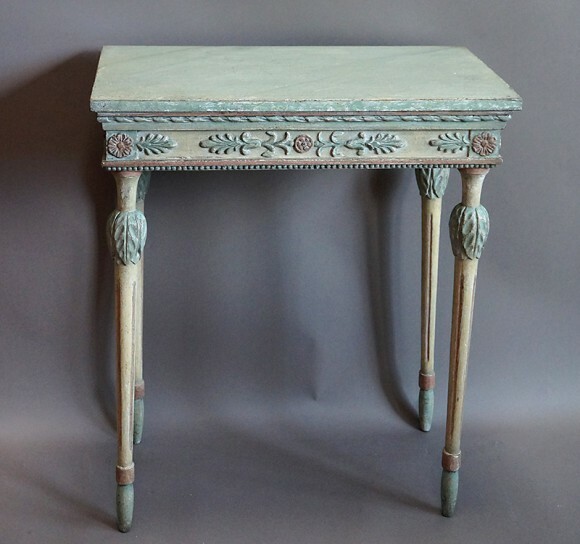 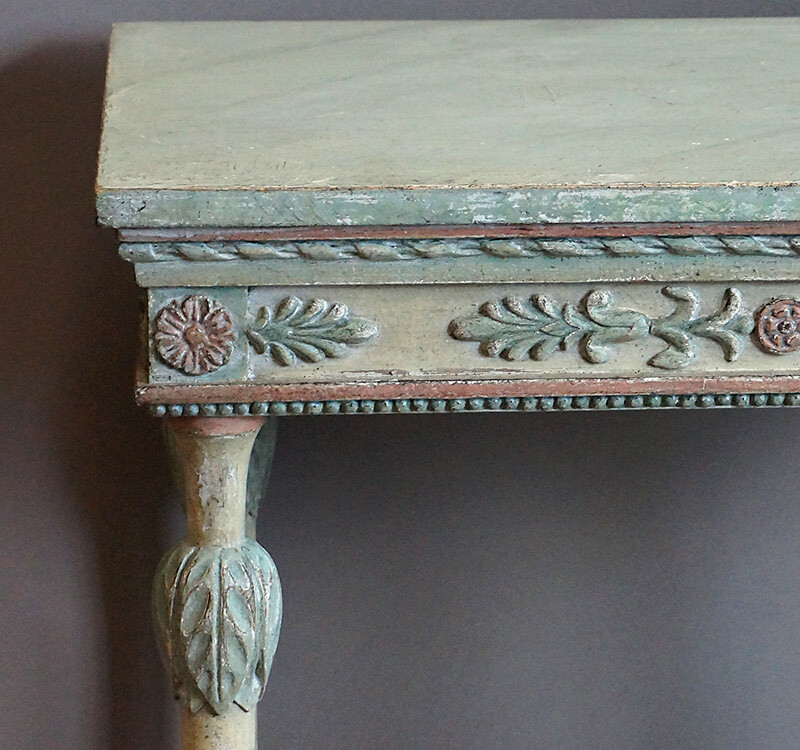 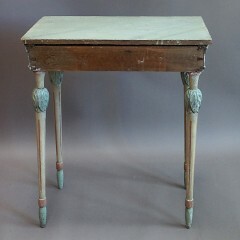 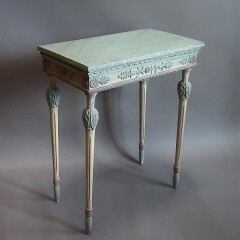 Small neoclassical console table, Sweden circa 1810, with its original polychrome painted surface. 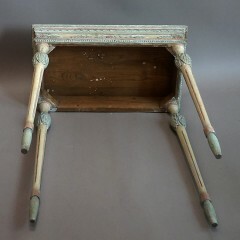 Marbled top with ribbon molding and apron with palmettes and rosettes below. 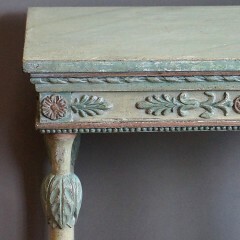 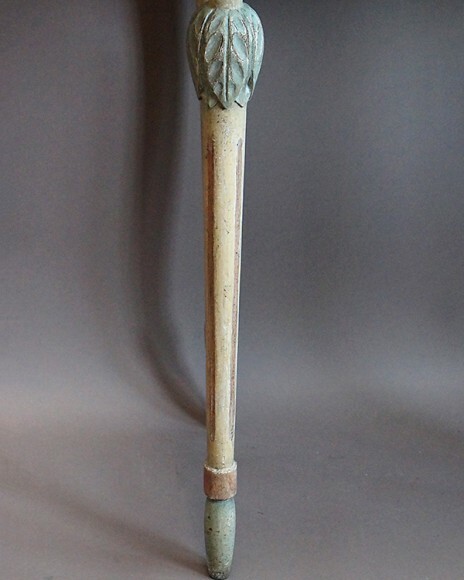 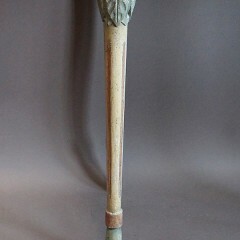 Tapering legs with acanthus leaf detail at the top and elongated bulb feet.